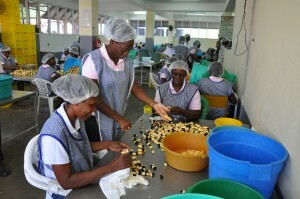 Canco seeking to hit a global exporting sweet spot. If you’re aiming to make memorable products, having a memorable location can’t hurt. Toward that end, Canco’s processing operation is located in the small rural community of Seaforth, Jamaica, within a serene and picturesque valley that’s surrounded by cool, verdant hills in the parish of St. Thomas. The agriculturally rich area is home to many indigenous tropical fruit orchards and vegetable farms, which provides Canco direct access to the freshest, unblemished, in-season fruits and vegetables supplied daily by local farmers. The company’s operation began in 1986 with a five-year contract as an exclusive packager of ackees and other vegetables for a major export house. In 1992, it began manufacturing under its own brand, Country Choice, and for eight years concentrated on perfecting core products – canned ackees, calaloo and breadfruit slices – to achieve quality levels that earned recognition and respect in the United States, Canada and United Kingdom as products with consistent quality and taste. 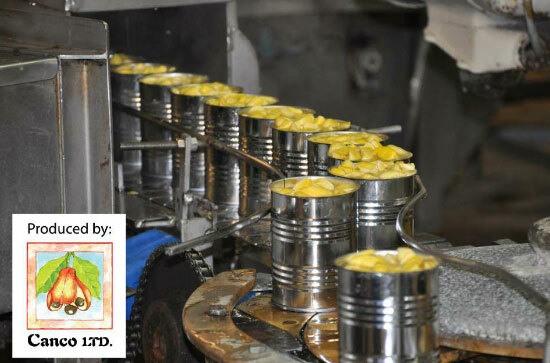 By 2000, Canco was one of four companies in Jamaica selected to work with the U.S. Food and Drug Administration to develop, test and implement the Hazard Analysis Critical Control Point (HACCP) system for canned ackees. 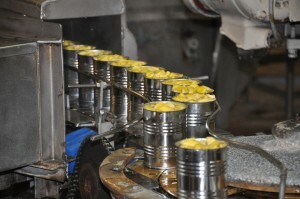 The implementation allowed it to become one of the first two companies to gain access to the U.S. market for canned ackees, and has since become the backbone of plant safety assurances pertaining to processing, canning and packaging methods. 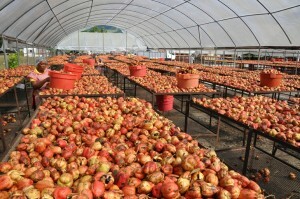 A corporate rebranding was made necessary by legal issues in 2006 and resulted in a label change from Country Choice to Linstead Market Jamaica, but the overall corporate mission of making life easier for local and foreign customers via the safe, high-quality, efficient, profitable and sustainable year-round processing of exotic Jamaican fruits and vegetables remains unchanged. The Canco workforce is largely seasonal and veers from 60 to 70 in the low season all the way to 250 in the high season – about seven months a year – which is when ackees are harvested and processed from evergreen trees that grow about 10 meters tall with a short trunk and distinct, dense crown. The flowers bloom during the warm months and the fruit is pear-shaped, ripens from green to a yellowish orange and weighs between three and seven ounces. It resembles scrambled egg when boiled, is sautéd with saltfish, onions and tomatoes and is sometimes served with fried plantains. It became a popular taste in Jamaica before later making its way to Haiti, Cuba, Barbados and other Caribbean locales, then was introduced to the United States through Florida. Canco’s Seaforth factory comprises 14,000 square feet, which shares space with a 4,000 square-foot shelling hall and a ripening yard on a two-acre spread. 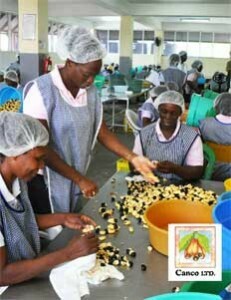 The ackees are brought in either from a network of suppliers local to the St. Thomas parish or from a wider network around the country. Ninety percent of the business is export-based to cater to Jamaicans abroad, primarily in the U.S. thanks to a well-developed set of distribution arrangements, McDonald said. Products are still available in the UK and Canada, too, as well as some much farther-flung places like New Zealand. 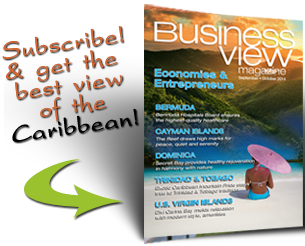 Crossing over into non-Jamaican markets is an objective for the business going forward, and McDonald feels it can be achieved both thanks to the generally positive perception of Jamaican brands worldwide and the adventurous nature tourists develop when visiting the island. If they get exposed to it and develop a taste for it, he said, that taste will soon spread. To McDonald’s son, Bronson, a Canco director who initiated creation of a side business – Ecowells – that collected organic waste and produced and marketed composts, organic fertilizer and agricultural produce, finding new audiences and destinations isn’t just an objective, it’s a mandate. Toward that end, and in addition to ackees and calaloo, the company is considering getting into jerk seasoning production, and it already has a canned rice and peas product that’s gotten good traction, in addition to jams, jellies, spices and sauces. “You spend a lot of time just trying to keep yourself afloat,” he said. “It takes a lot of money to cross over, and to do the marketing to crossover. We’ve made some arrangements in North America that we feel will give us a better foundation for crossover. We definitely see that as a focal pillar of our entire growth strategy. Ethnic food in the U.S. is growing at a very rapid pace, and within that segment, Caribbean cuisine is one of the fastest growers.